The first Mercurius Prize event will take place at the “International ShorTS Film Festival by Maremetraggio” in Trieste, Italy, July 2017. The “International ShorTS Film Festival by Maremetraggio” offers its audience high-quality works with a pan-European coverage, promoting cinema of foreign countries, young professional and inter-cultural dialogue. Starting with “International ShorTS Film Festival 2017” , the Mercurius Prize Committee later intends to offer the award in other international film festivals as well, in line with those festivals’ criteria of excellence. The Committee’s main aim is to recognize films whose qualities increase awareness of the human psyche in its largest and deepest dimensions, in accord with the aforementioned Jungian criteria. 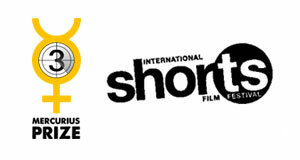 During the International ShorTS Film Festival 2017, the Mercurius Prize Committee will confer special attention on the documentary film by Peter Ammann, “Zauberfelsen” (“Spirit of the Rocks”), a unique journey among the rock paintings in South Africa, Botswana and Namibia. This film also features the imaginal life of the Bushmen, their tales and their myths. The film is an extraordinary psychological and ethnological reflection on the creativity of the collective psyche. This first special award of the Mercurius Prize Committee will be celebrated with an evening Round Table dedicated to the topics explored in Peter Ammann’s film and to his cinematographic work as a whole, which began in the school of Federico Fellini in the 1960’s.